A Christmas Village is an artistic way to live up to the spirit of this auspicious occasion. People tend to light Christmas trees on the night and enjoy through parties and by inviting people over for dinner. 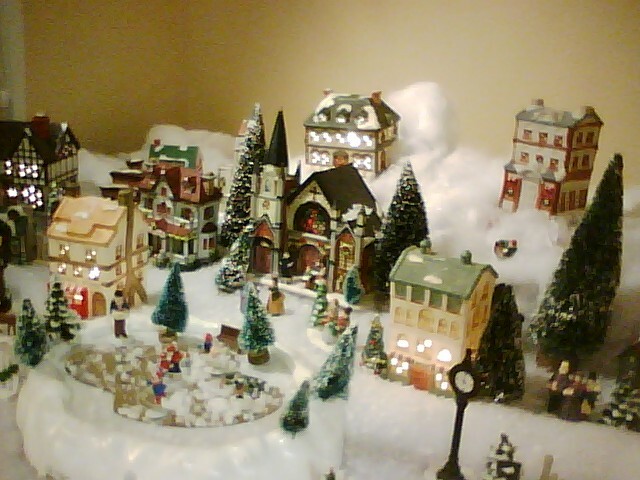 However, you can light up the whole mood and add up to the environment by making a Christmas village in your home. It is a part of the decorations which you are going to make on the Christmas Eve, but this will acquire a lot of your time since you will have to work on every minor detail of the Christmas Village. Here are a few tips which can help you set up the perfect Christmas Village. First of all, you will have to find a suitable location to set up this Christmas Village. It can either be a foyer, a window seat or even under or beside the Christmas three. These locations are the most popular ones and most of the people set up their Christmas Villages in these places. It’s mostly because there is a lot of space in all these places and you can easily set up the village by using the space to your advantage. Always select a plane table or a wood board before setting up the Christmas Village. The board sounds like a better option as you can keep the Christmas Village on display and use it next year for the same purpose. Since you have a lot of items to display, it is suitable if you spread the items which are on display. Start putting the village pieces in different areas of your home. Moreover, you should make sure that the pieces which are putting on the model are telling a story to everyone. For instance, you can show that Santa is working in his workshop and then he is going to deliver the gifts to people in their homes. Make sure that the village is set up near electrical outlets. Since there are a lot of lights to be displayed on the model, you can easily do it if the socket is nearby. However, if you have made the mistake of making the Christmas Village far away from a socket, you can always use an extension. If there are children in your house, you can always share stories with them. They children are expected to carry on this tradition of passing on the information to the next generation.